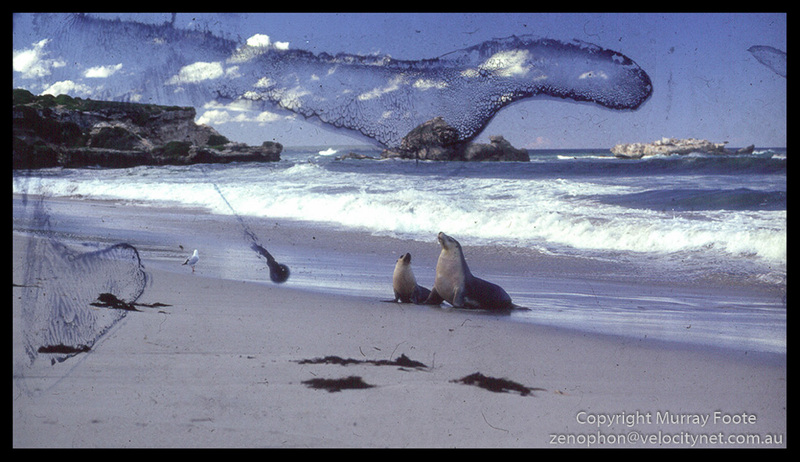 Travelling between Cape Willoughby and Cape Du Couedic on 16 May 1987, I stopped off at Seal Bay, so-named because, well, there are seals there. These days there are boardwalks and viewing platforms and guided tours, to protect children and adults as much as the seals. They are mostly Australian or New Zealand Fur Seals and if provoked, or if a human moves between a mother and a pup, they can move surprisingly quickly and have a nasty bite. 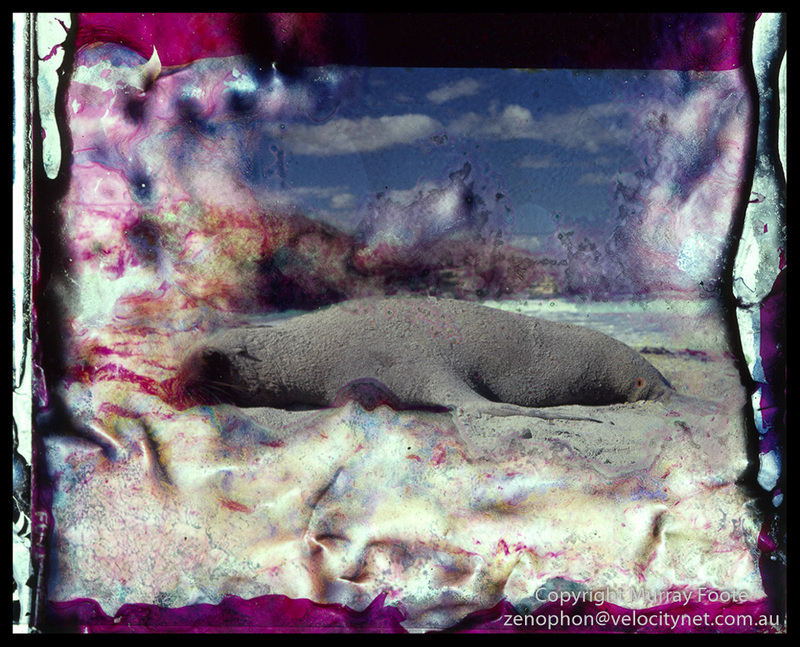 In 1987 there was just me and the seals on the beach and no barriers or other traces of mankind. Though I wasn’t aware the seals could be dangerous at the time, I respected their space and kept my distance and had no problems. My images encountered some problems, though. Some years later, there was a catastrophic roof leak in my house and some of my slides were underneath. The rainwater bonded them to the plastic sleeves and created strange patterns of waterlogging with no possibility of remedial action. 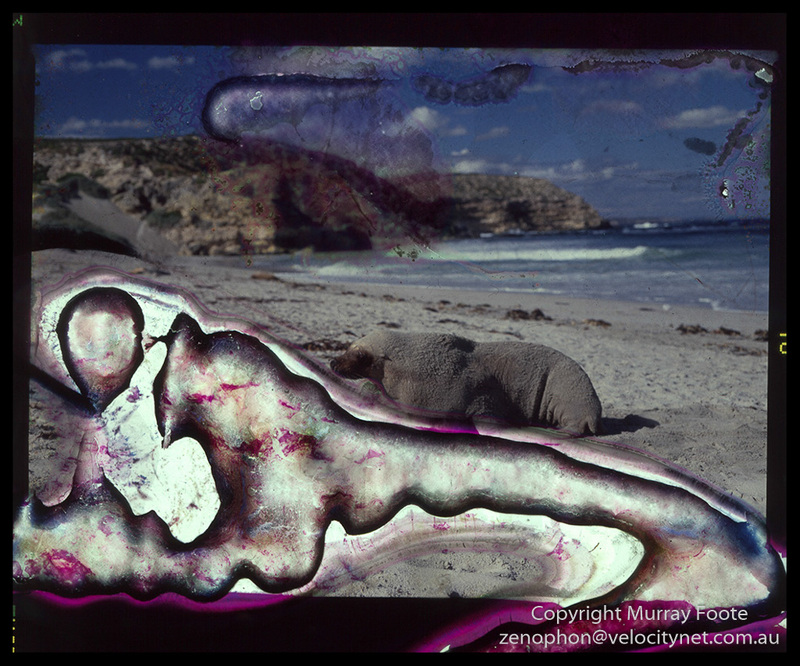 So what we have is images of nature rendered with surreal intent by the forces of nature. They were taken with my 1937 Rollieflex TLR 6×6 rollfilm camera. p.s. I missed an image in my previous post on Cape Willoughby which I have now added. 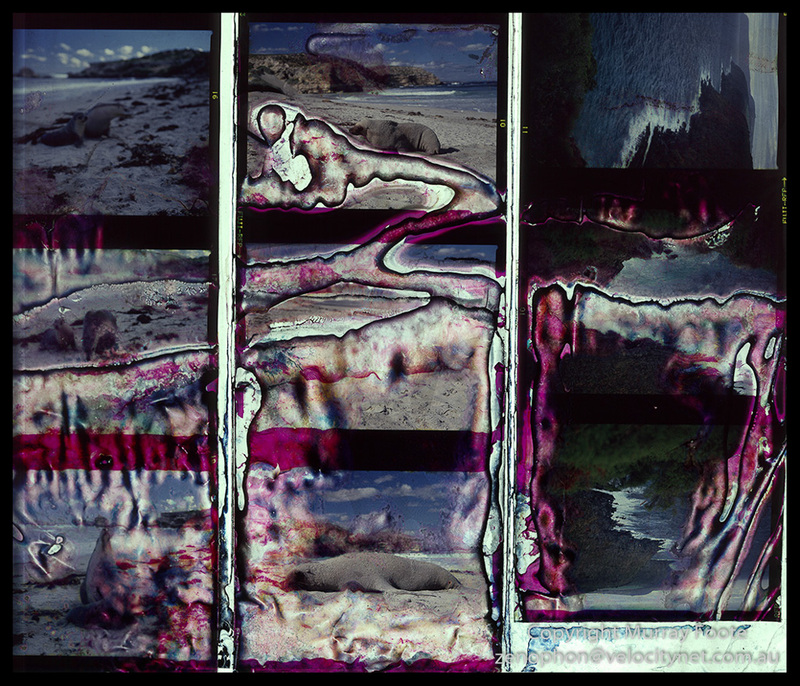 It takes nothing short of boldness and genius to post water-damaged slides. They are truly surprising – thanks for sharing these.